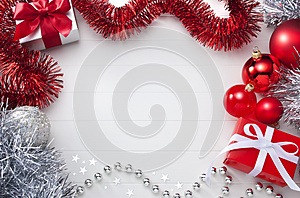 A Christmas background with a red and white theme. With presents, decorations and tinsel. Please see my extensive range of Christmas images.